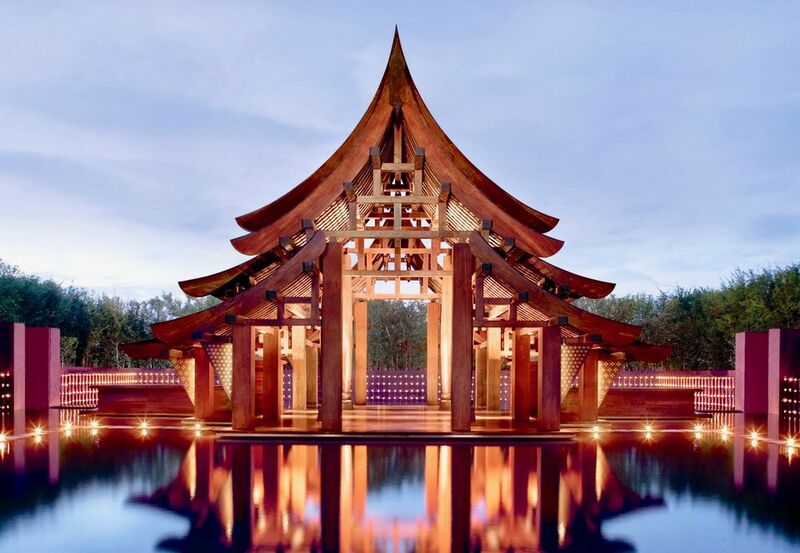 Why Journey to Phulay Bay, a Ritz-Carlton Reserve, in Southern Thailand? The Western Hemisphere does not lack for luxury beach resorts. But Phulay Bay, a Ritz-Carlton Reserve is worth the long trip to Thailand. This spectacularly beautiful resort was the very first Ritz-Carlton Reserve, an ultra-high-end style of the already high-end ​Ritz-Carlton Hotels & Resorts brand. Phulay Bay opened in 2010 and wins tip-top accolades from Condé Nast Traveler, Travel + Leisure, Robb Report, and Tripadvisor. This is the real five-star deal. The resort is in every way a five-star hotel. It is one of the best luxury hotels in Thailand, which is blessed with luscious resorts. Phulay Bay is composed of 54 individual villas ranging from opulent to palatial. There are no basic rooms here. Some villas have soaring ocean views from a hillside, while others are set a few yards from the shore. Will You Like Phulay Bay, a Ritz-Carlton Reserve? Will Phulay Bay Be Your Style? Phulay Bay is an uncommonly beautiful resort in luscious tropical surroundings. Its dining and service are superb and it offers seasonal promotions. But no resort can be everyone's cup of Thai iced tea. Phulay Bay will be paradise for you if: you want a great Thai beach resort to nest in or to add onto a few days in Bangkok; you seek an intensely private, romantic experience with your partner or a memorable tropical vacation with your kids; you insist on five-star-hotel greatness (beauty, privacy, quiet, and personal service); you plan on some serious spa time; you're a snorkeler or diver eager to explore Southern Thailand's Andaman Sea. Phulay Bay may not be resort heaven for you if: you don't want to travel so many hours to get to a beach; you prefer a dry climate to sultry southern Thailand; you find private butler service intrusive or too close for comfort; you don't love Thai food; you must have a golf course near your resort; you prefer all-inclusive resort pricing to a la carte, as here. Phulay Bay, a Ritz-Carlton Reserve: Where Is It & Who Stays There? Phulay Bay is situated in the village of Krabi on the Andaman Sea coast on the southern "tail" of Thailand. Krabi is a few hundred miles from the more commercial resort area of Phuket. Most Krabi visitors fly from Bangkok to Phuket and then take a boat or van to Krabi. (The boat journey is shorter and more scenic, but available only during daylight.) There is also a small airport in Krabi, with flights from Bangkok. Phulay Bay perches on hills rising from a postcard-perfect tropical beach. The view from the resort takes in the rounded rocks that are the Andaman Islands, surrounded by unique jade-green waters. Once populated by ferocious islanders said to be cannibals, the Andamans are now day-trip destinations popular with snorkelers, picnickers, and photographers. Krabi is not far from the equator, and Phulay Bay guests should anticipate southern Thailand's tropical climate. The region is especially sticky during the wet half of the year, April through October, when a late-afternoon or evening shower is a probability. However, Phulay Bay is amply air-conditioned, with an inviting pool. And evenings cool off enough to laze outdoors. A range of well-heeled international guests come to Phulay Bay. Some are families with children, but most guests are couples. Many twosomes are honeymoon lovebirds who nest in Phulay Bay's ultra-private villas. All Phulay Bay villas are stunningly furnished in posh tropical style, with beautiful handmade furniture oversized canopy beds. Thai artistry is everywhere, in art objects and hand-painted closet doors to the his-and-hers walk-in closets. Bathrooms are more like spas, with Indoor rainfall shower, outdoor or indoor bath, lounger, and private plunge pool. Tech toys are ample, and gracious aesthetic touches are everywhere and make the villa a pleasure just to be in. Resort-vacation accessories include Crocs, silky robes, umbrellas, SPF, bug spray, candles, and more The smallest detail, such as the tissue box, is turned into an art event. Phulay Bay villas are not only delightfully comfortable, they are a feast for the eye. Phulay Bay villas come equipped with private butlers. They are generally demure, in-command, English-speaking Thai women who attend to guests' every need and anticipate their wishes. Phulay Bay butlers are a combination of personal assistant, valet, concierge, and driver for the carts that whoosh guests around Phulay Bay. Butlers stop into your villa several times daily with assistance and treats and are never more than a couple of minutes away by phone. Your Phulay Bay butler's overall attitude is"How can I make you happy right now?" This is the essence of top hotel service and a rare and wonderful thing. One of many highlights of a stay at Phulay Bay Ritz-Carlton Reserve is the resort's dining. Its several restaurants serve variations on Thai food, a light, delicious cuisine that has deservedly become a global favorite. Phulay Bay's executive chef oversees food and beverage operations at the resort. its alluring options are many. Sri Trang offers scrumptious curry-and-coconut-laden Southern Thai recipes in a contemporary Siamese setting. Lae Lay is a dramatically designed seafood bistro with a stirring view of the Andaman Sea, and its Lae Lay Pavilion (shown) provides small-group beachfront dining in a caressed by the ocean breezes of the Andaman Sea. Plai Fah, a poolside café and bar that is a resort favorite for lunch, with a casual global menu, and Chomtawan is a waterside bar whose tropical cocktails are enhanced by intoxicating sunsets. Private and/or customized dining options, called "Dining Beyond," are abundant at Phulay Bay. Guests can dine at the Chef's Table for lunch or dinner. The resort can arrange romantic dinners for two anywhere: in their villa or terrace, on the beach, or in Sala Srichan, Phulay Bay's gorgeous welcome pavilion. Complete picnics are prepared for guests to feast on in their villa's terrace; on the beach or on a speedboat excursion to an Andaman isle Many guests opt for a Beach BBQ with a chef doing the work for you. And quite a few gest like Phulay Bay's cuisine so much, they take cooking lessons from the chefs in the Restaurant Action Kitchen. 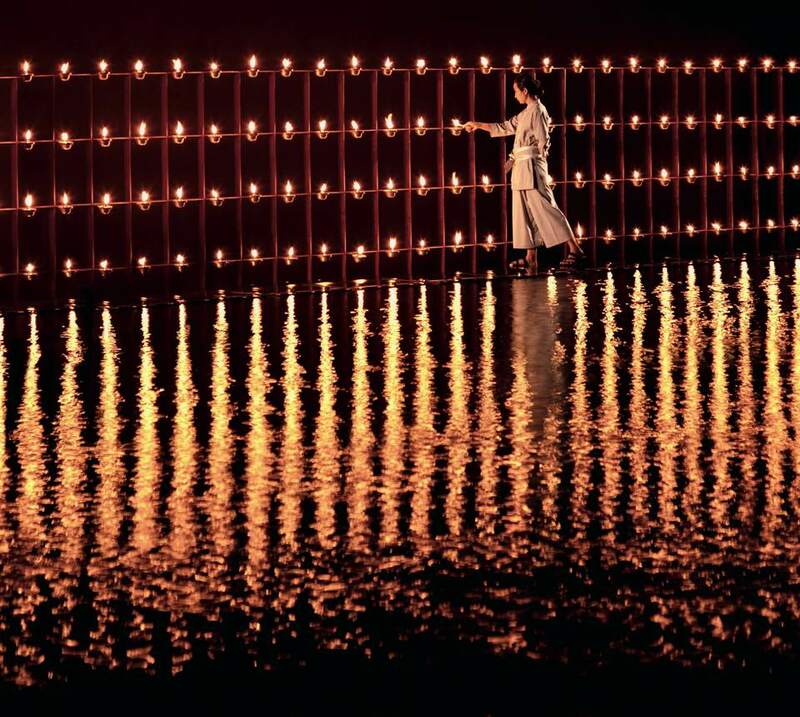 Most guests at Phulay Bay savor at least one experience at The Spa. It is serenely set in an indoor-outdoor environment at one with nature, with native teak accents, meditation pools, and flowering plants. The Spa's 11 deluxe treatment rooms include two couples' rooms and two private spa suites. Every room has a soaking tub. The Spa's range of services is vast: facials and anti-aging treatments, massages and body treatments, men's, women's and couples' treatments. All marry modern technique with ancient philosophies and Thai finesse. One specialty is Thai massage, in which a practitioner pushes and pulls you into a state of muscular bliss. The Spa offers clients a quiet lounge, lovely locker rooms, steam rooms, and warming vitality pools. (The main spa pool is shown above.) Phulay Bay has an extensive yoga and meditation program, a huge outdoor pool, and a well-equipped, well-air-conditioned gym. Phulay Bay guests can do everything. Or do nothing. After savoring the resort's delectable food and relishing The Spa's offerings, many guests choose to laze around their private villa, their butler at the ready. Other guests camp out in the spacious pool or in an oversized poolside lounge bed, with a view of the tranqull aquamarine sea. Others claim a plush lounger on the resort's white-sand Chomtawan Beach. Beach yoga is popular. The surrounding Krabi area is one of Thailand's most pristine environments, with crystalline waters, virgin rainforest, miles of rock formations and caves, and the oft-photographed Andaman islands. Guests can island-hop, on Phulay Bay's longtail boat, to a series of exquisite nearby Andaman islands for snorkeling, swimming, sunbathing, picnicking, and photography (some of these trips are complimentary). They can take a sunset cruise on a tall-masted sailboat kayak. They can snorkel, and dive or snorkel in the sealife-rich Andaman Sea and the rock caves lining Krabi Beach. On land, guests can take helicopter tours over land and sea, all spectacular, go on nature walks in Krabi's mangrove forest or jungle trekking in Kao Prak Bang National Park or in the unique Klong Thom Waterfall, a thermal cascade that dumps hot water into cool natural pools. They can go rock climbing on over 150 routes at neighboring Railey Beach, one of the world's most beautiful stretches of sand. It's a thrill to fo elephant trekking, on forest or on the mountain, on the back of a gentle, majestic Asian Elephant. There's even more to enjoy here beyond the resort's lovely guest suites, restaurants, spa, beach, and pool. A full complement of yoga and Pilates classes is offered. Guests can learn about Thai culture in an introductory Thai language class, Thai cooking classes (including a visit to the local market and fish farm). And couples can learn the basics of Thai massage to try on each other. Families are not uncommon at Phulay Bay, and their lucky kids have their own recreation spot and various activities. These include: games, sports, and fun things like treasure hunts, ping-pong, Wii games, and more; opportunities to join in with Phulay Bay's Thai Children Music Band, and try some traditional Thai dance; junior yoga and swimming classes; Thai crafts: (make a banana-leaf horse, weave a hat with coconut leaves, make a wind chime with shells, learn batik painting, and more). Kids can take baking classes with Phulay Bay's chefs. The whole family can resist the resort's twice-weekly movie nights twice weekly in Sri Trang restaurant, with popcorn and a big screen. And everyone will love meeting and riding on Phulay Bay's star, its pet juvenile elephant Koko.